The FIM Motocross World Championship has usually provided great diversity; mostly through the eclectic internationalism of the participants as well as the types of circuits and terrain the series explores over the better part of six months. Grand Prix will visit old-fashioned and historic venues, new-build and modern circuits and even courses constructed within traditional motorsport homes like Losail, Zolder, Lausitzring, Mallory Park, Donington Park and Assen. This Saturday night MXGP lands in Charlotte, North Carolina for round seventeen of eighteen and with a very decent chance that both MXGP and MX2 title disputes will be settled across a track forged under lights, in the compound of the dirt track facility, with an entry list that features some prominent names from AMA competition and with a whole new audience catchment. 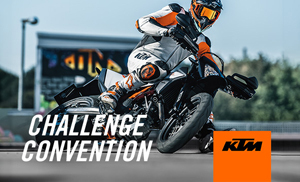 It is a probing experiment born from the desire of Charlotte Motor Speedway (CMS) – something of a mecca for NASCAR and Drag racing and enthusiasts – to expand their catalogue of motorsports and boldly consider an affordable and reasonably practical international motorcycling contest. Enter MXGP for a fixture that is almost a year in the making. Within Grand Prix there is a degree of fascination about Charlotte. 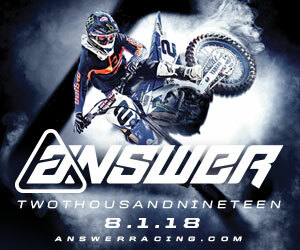 From comments I’ve heard there is anticipation about the track, the facility, the reception and some of the additions to the roster that includes Monster Energy Kawasaki’s Eli Tomac, the brunt of Monster Energy Pro Circuit Kawasaki (Cianciarulo, Savatgy, Forkner), JGR Yamaha’s Justin Barcia, Red Bull KTM’s Dean Wilson, Yamaha’s Chad Reed and more. One litmus test will be the racing course. Youthstream President Giuseppe Luongo recently commented that the track for the SMX Cup (to be inaugurated at the Veltins Arena in Germany on October 8th) must be “safe and fun for the riders; when they enjoy the track then it creates the show.” By the same token Charlotte will have to establish a platform for the GP to be judged and it starts with the layout itself. 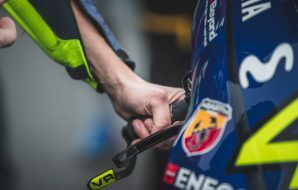 If there is any smudge on the excellent Grand Prix of the Netherlands at Assen last week it was through the temporary nature of the layout and the inconsistencies of a quick-build that causes many riders to struggle. Rarely will a track be to every rider’s liking but a few basic ingredients will encourage racers to attack and keep the action tight. Race organisers do not set out to make a bad course…but the acumen of Youthstream’s expertise combined with relative ‘rookies’ that is CMS will be put to the test. As year-round motorsport experts the Charlotte Motor Speedway have allegedly been sharp with their local and regional promotion, and the steady flow of press information into my Inbox seems to indicate that MXGP is being pushed hard and with a similar intensity as any other date in their diary (including three NASCAR, three Drag, shows and Dirt Track). If racing fans in North Carolina (perhaps travelling to support native national champion Star Racing Yamaha’s Cooper Webb) come to experience MXGP for the first time then part of the reason might be down to the inclusion of names from AMA motocross and supercross. 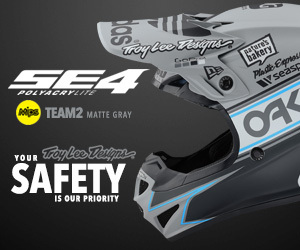 The participation of a number of A-list wildcards has been a controversial subject: the presence of Tomac in particular raising some eyebrows after the former AMA 250SX Champ dropped out of contention for Team USA representation at the 2016 Motocross of Nations but continues to race after a long indoor and outdoor calendar that continually seems to snuff American racers from considering more appointments on their schedule. 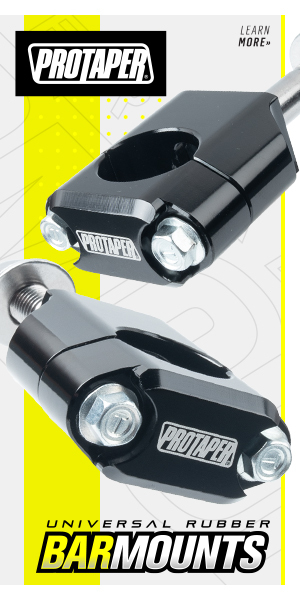 Whether the likes of Tomac, Barcia or Webb are ‘pushed’ to events like Charlotte (or next week’s curtain-closer – the Grand Prix of USA at Glen Helen in California) by sponsors like Monster Energy or their manufacturers I doubt whether arms are being ferociously twisted. There has to be a choice for these athletes and their teams. It seems almost common wisdom now that sponsorship is hard to find and hard to keep, and we can even apply that maxim to advertising or employment. It feels like a great many everywhere are doing ‘more for the same’. The annual American racing programme is best described as ‘gruelling’ and the last thing many teams probably need is extra commitments along the lines of one-off exhibition or spectacles but I cannot help but feel the traditional model of championship priorities might be shifting. An encompassing sponsor like Monster Energy might gain more exposure and recognition from a collection of ‘big hitters’ at races like the Monster Cup, international Supercross events, new ideas like the SMX at one of Europe’s most modern sports stadiums, the Nations or even Charlotte than they would from a series of victories confined to just one territory, whether that’s Europe or the USA. American distributors naturally care about their own sales margins and profitability but the biggest effect of social media over the last decade has been the shrinkage of what is going on in the world…and the accessibility. It must be easier to follow the AMA Supercross series now than ever before and packed stadia in Europe in the winter for SX and Arenacross indicates there is international scope. 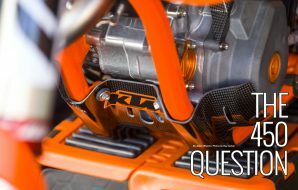 Ryan Dungey’s two AMA 450SX titles has had measurable benefit for KTM in North America but I’m also willing to bet that Dungey’s profile overseas has never been bigger. It is now easier to see, watch and order anything from around the world and I think people are mobilising…some companies are trying to tap into that. 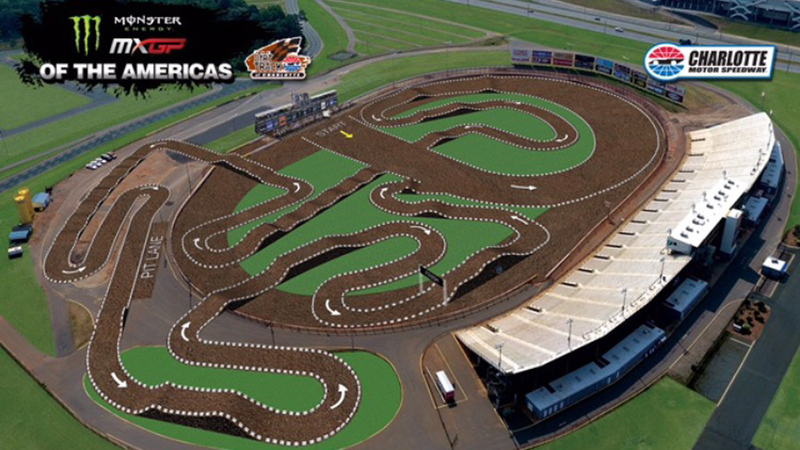 Charlotte is also a bold move for MXGP. There were some initial obstacles to hurdle. 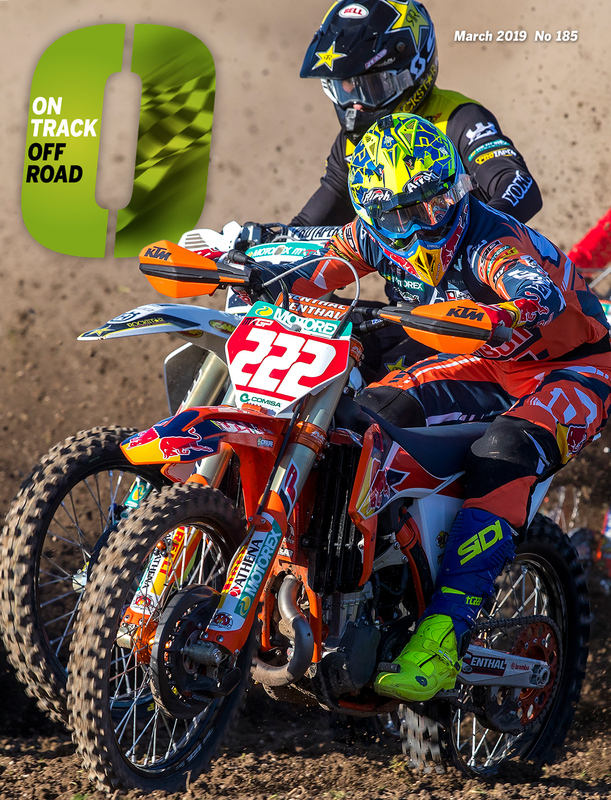 Like re-positioning of the MX track from the drag strip to the dirt track zone and apparently some political concerns behind closed doors, such as the format and staging being similar to an event like the Daytona Supercross. And at a time when AMA Supercross is starting to rustle its feathers and potentially fly further then there will be people watching to see how the Grand Prix of Americas fares. Saturday night will be a rookie effort. 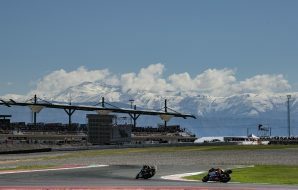 Rough edges have to be expected but this will be one Grand Prix that fans and spectators – both versed and new – will want to check out. Tickets for the Monster Energy MXGP of the Americas start at $30 plus tax for Friday and $49 plus tax for Saturday. Call 1-800-455-FANS (3267). Tickets and paddock passes can be bought HERE. 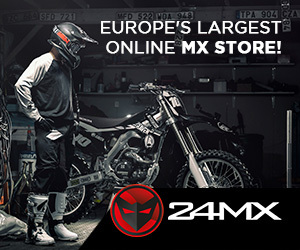 www.mxgp-tv.com will stream the race live and a package can be purchased through the website.